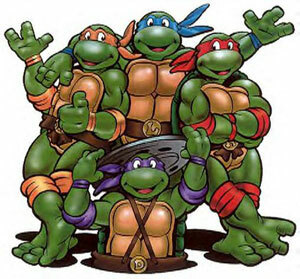 As a kid, the only turtles that really interested me lived in the dwellings of New York City, fought crime against the Foot Clan and exclaimed things like “Cowabunga!” Yep, I’m talking about these guys—the Teenage Mutant Ninja Turtles. Since then, my expectation of turtles hasn’t changed. They should be fierce fighters, find strength in numbers and ultimately, play a role in helping the world. It’s just that now, they are fighting extinction instead of foot soldiers, gaining numbers through captive breeding and head starting programs through zoos and conservation partners, and the important role they play on the planet is more ecologically significant than crime-fighting significant. This Egyptian tortoise hatched two weeks ago. The Egyptian tortoise is the second smallest tortoise species in the world. Photo by Ryan Hawk/Woodland Park Zoo. 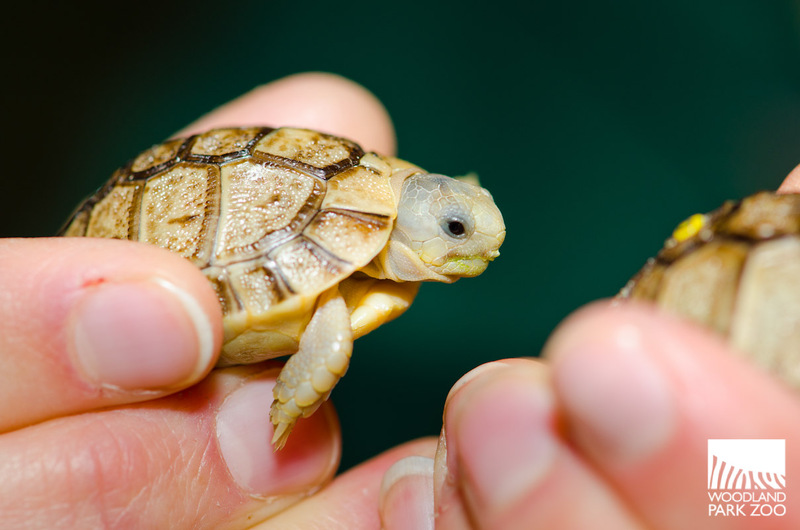 In partnership with local and international conservation leaders, including the Egyptian Tortoise Conservation Program and the Washington Department of Fish and Wildlife, the zoo’s successful captive breeding and head starting programs are increasing populations in our state as well as in our North American populations of captive species. These turtles are not giving up! Since June, more than 100 western pond turtles have hatched at the zoo. Archive photo by Ryan Hawk/Woodland Park Zoo. The Egyptian tortoise is among the top 40 tortoises and freshwater turtles at a very high risk of extinction. Native to northeast Africa and the Middle East, the second smallest tortoise species in the world is primarily threatened by habitat loss, introduced predators and the illegal pet trade. With increased research, public awareness and community engagement, the Egyptian Tortoise Conservation Program is working to prevent the species’ extinction. In the U.S., our zoo has produced more Egyptian tortoise hatchlings on average than any other zoo, producing more than 75 tortoises through our successful captive breeding program. 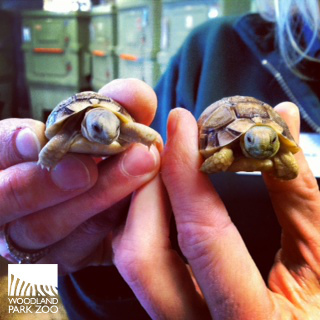 At two weeks old, the Egyptian tortoises are just the size of a quarter! Photo from Woodland Park Zoo's Instagram. Follow @woodlandparkzoo. 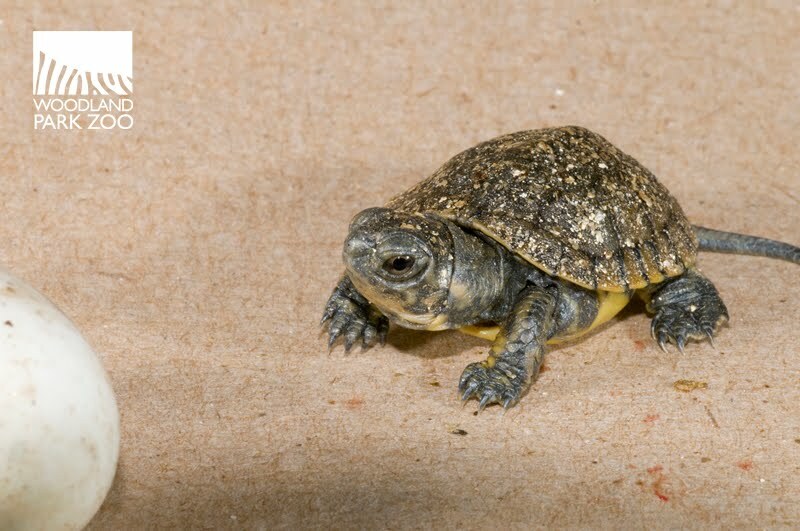 Our western pond turtle hatchlings are part of the Western Pond Turtle Recovery Project. 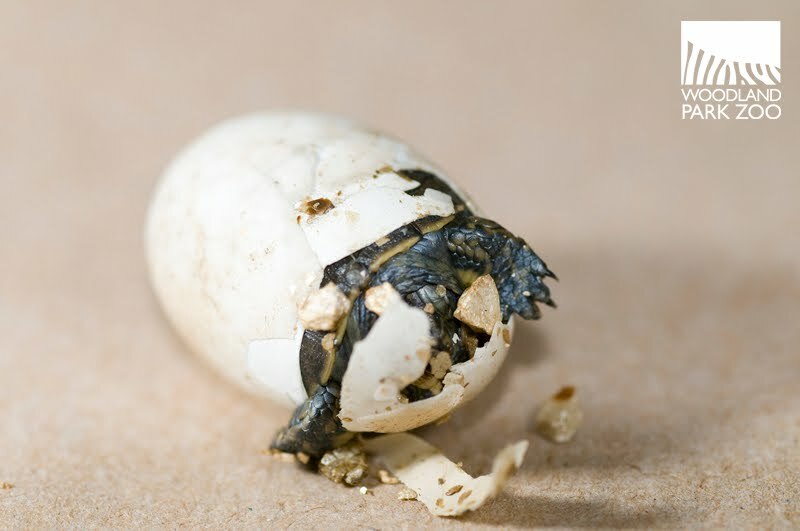 Remember our post in August on our release of hatchlings? In Washington state, the species is endangered and its population is rapidly declining. To give these animals a head start, Woodland Park Zoo and Oregon Zoo rear hatchlings each year until they are large enough to avoid predation in the wild. For 21 years, Woodland Park Zoo has led the recovery project and released nearly 1,500 turtles back into protected habitats. Western pond turtle hatchling on the move. Archive photo by Ryan Hawk/Woodland Park Zoo. Despite the challenges threatening turtle species, our new turtle hatchlings are yet another large stride for the zoo’s turtle conservation programs. Turtle power! WildLights presented by KeyBank runs through Jan. 1. Photo by Ryan Hawk/Woodland Park Zoo. Need a closer look at the reptiles? Visit the zoo’s Egyptian tortoises, western pond turtles, and other reptiles and amphibians day or night this winter. WildLights presented by KeyBank, the zoo’s sparkling, after-hours event, features reptiles and amphibians in the Day Exhibit. 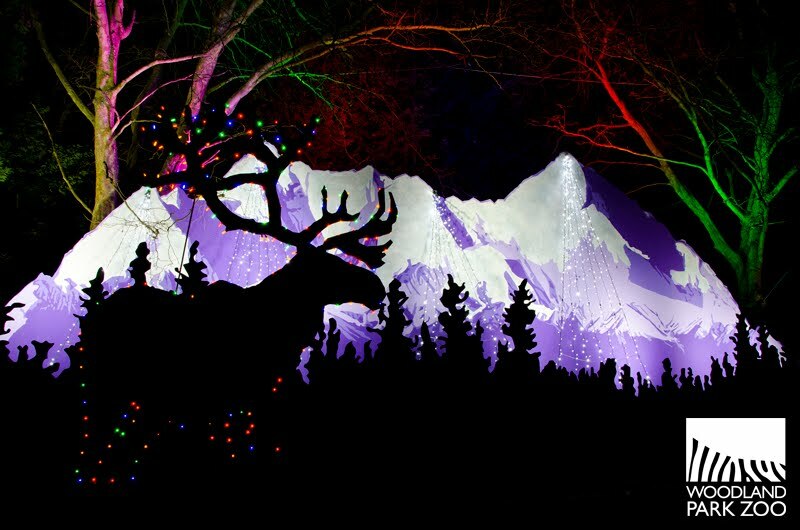 WildLights is open through January 1, 5:30-8:30 nightly and will be closed December 24-25. Tickets available now at www.zoo.org/wildlights.